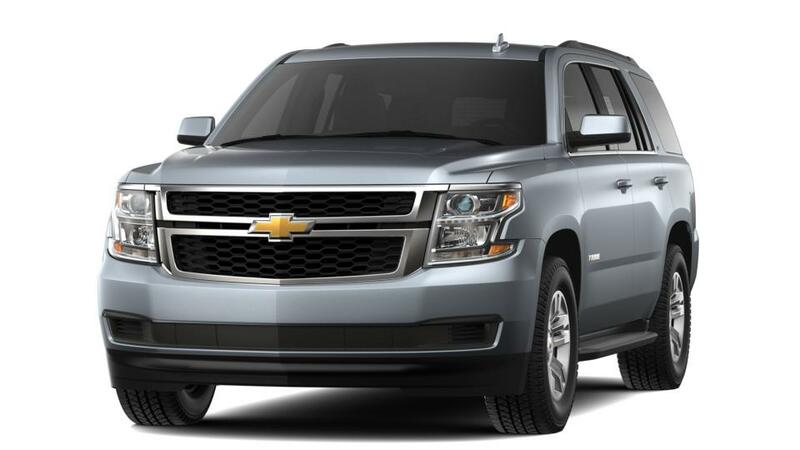 CAN'T FIND THE new Chevrolet Tahoe VEHICLE YOU ARE LOOKING FOR? 1see dealer for details - includes CTP bonus and discount 2Keyes Courtesy car program - vehicle needs to be in use for 3000 miles and 30 days or 90 days and more than 2000 miles whichever comes first, at that time it will be eligible for this additional discount. see dealer for details. Price includes rebates and discounts. 3Not available with special finance or lease offers. Take delivery by 04-30-2019. 4Lease Loyalty Purchase Private offer to eligible 2014 Chevrolet, Buick GMC or Cadillac lessees only toward the purchase only of certain Chevrolet vehicles. See dealer for details. 5Must qualify through GM Financial. Cash usable only if financed through a supported or unsupported GMF contract. Average example APR 5.9% for qualified buyers. Not available with special financing, lease and some other offers. Take delivery by 4/30/19. See dealer for details. 6Private offer to current lessees of eligible 2014 Chevrolet, Buick, GMC or Cadillac vehicles towards the lease of a qualified Chevrolet vehicle. See dealer for details. 7Conditional offer. Not available with all other offers. Stackable % Cash Back for customers who have owned or leased a 2005 or newer non-GM vehicle for a minimum for 30 days. See dealer for details. 8Must qualify through GM Financial. Not available with special finance, lease, or some other offers. Take delivery by 04-30-2019. See dealer for details. 1see dealer for details - includes CTP bonus and discount 2Lease Loyalty Purchase Private offer to eligible 2014 Chevrolet, Buick GMC or Cadillac lessees only toward the purchase only of certain Chevrolet vehicles. See dealer for details. 3Must qualify through GM Financial. Cash usable only if financed through a supported or unsupported GMF contract. Average example APR 5.9% for qualified buyers. Not available with special financing, lease and some other offers. Take delivery by 4/30/19. See dealer for details. 4Private offer to current lessees of eligible 2014 Chevrolet, Buick, GMC or Cadillac vehicles towards the lease of a qualified Chevrolet vehicle. See dealer for details. 5Conditional offer. Not available with all other offers. Stackable % Cash Back for customers who have owned or leased a 2005 or newer non-GM vehicle for a minimum for 30 days. See dealer for details. If you’re searching for a family SUV which comes with lots of space and advanced technology, then check out the new Chevrolet Tahoe, on offer at Keyes Chevrolet near Eau Claire. This vehicle has actually been fitted with acoustic-laminated windshield and inlaid doors with triple seals that offer you peace and comfort while traveling. Accompanied by a powerful V8 engine, this vehicle delivers an unparalleled performance. This SUV comes with sophisticated technologies, like the driver information center plus the head-up display, which gives you the relevant right information. You can actually listen to music, call friends, and get directions, because of the phone integration technologies like the Apple CarPlay and Android Auto. With sophisticated technologies, including the rear vision camera, rear cross traffic alert, rear park assist, and side blind zone alert, this vehicle ensures your safety. This vehicle would surely meet all of your requirements; purchase this vehicle at our dealership now. We've got some attractive deals and discounts at our Eau Claire area dealership; check them out now. You can take this vehicle for a spin by contacting us at (877) 249-6090 or online. Keyes Chevrolet typically keeps a large stock of new Chevrolet Tahoe vehicles to satisfy the needs of our customers in Durand and Eau Claire. In the event you don't see the exact new Chevrolet Tahoe vehicle you're looking for in our inventory, please, let us know so we can locate it for you! Keyes Chevrolet has been serving Western Wisconsin and Minnesota since 1946. Let us assist you in your purchase of a new Chevrolet Tahoe today!